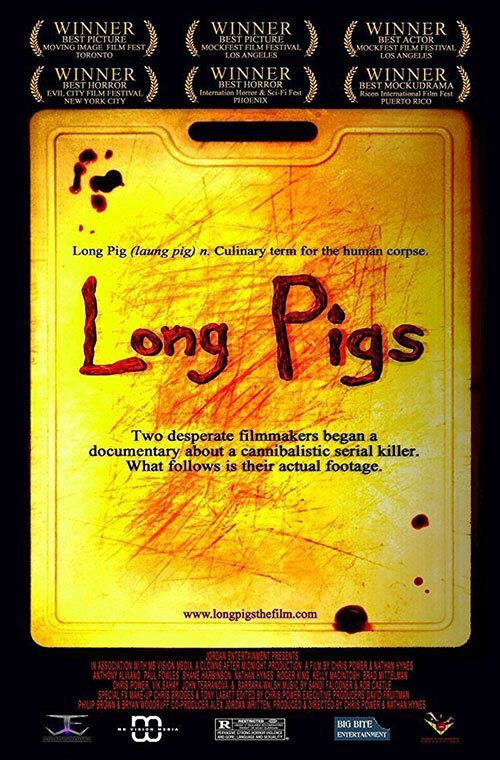 Two documentary filmmakers chronicle the daily life of a serial killer in the pseudodocumentary chiller Long Pigs. You wouldn't know it by looking at him, but Anthony McAlistar (Anthony Alviano) is a multiple murderer that likes to feast on his victims' human remains. Fortunately for him, he's able to tell his story when a couple of documentarians decide to exploit the murderer for their own fascinating film project, but are they prepared for the bloody reality set to unfold before their cameras? 1 Response to "Long Pigs (2007) Nathan Hynes & Chris Power"
Awesome! Thanks so much NLZ. Less than 24 hours and you post it. You rule brother.